Notorious Boston crime boss and FBI informant Whitey Bulger was recently killed on the first day at a prison he was transferred to. The 89-year-old snitch and serial murderer was bludgeoned to death beyond recognition by a man wielding a lock-in-a-sock. Could authors and book marketers learn from this ingenuity? Now, I’m not here to glorify violence or even discuss the justice involved in Whitey’s life or death, but I merely point out that this attack shows how one can get a job done with few resources. Book promoters need to be as scrappy and savvy. Again, I don’t want to honor a killer, everyone who killed a killer, but I merely point out the resolve and skill needed to do what others had failed to do over the years. Authors need to think about what it is they want to accomplish, tap into their network, make use of their resources, come up with a plan and eventually step up and take concrete action. Prison can simplify a person’s life. The prisoners divide every experience by one rule: Will what I say or do lead to me living another day? Everything gets filtered through this basic mantra. You, as an author, should have a mantra that goes something like: What can I do today to market my dream? Judge and filter all of your actions through the prism of this mantra. Are you doing something so that you advance your book? Are you calling upon all that’s available to you? Are you taking a risk? Are you properly thinking your plan through? Probably another skill prisoners have is that of focus and concentration. They don’t have much else to distract them from keeping their eye on the prize. Survival is rule number 1,2, 3 and infinity. Authors must zone out distractions, escapes, other needs and desires, or even other people. Focus on what you are trying to accomplish and visualize what it will take to turn a thought into a reality, a vision into an existence. Meditate on your goals. Think about little else. Put all of your heart and soul, mind and body, hopes and happiness into your book. 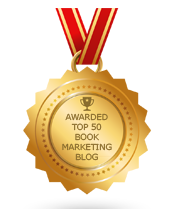 Direct all of your energy, knowledge, and network of support to only fuel your book marketing efforts. Leave doubt and uncertainty to the side. Only one thing matters right now, making your book a success. It’s time to wield your lock-in-a-sock (not literally) – and knock out your opposition and challenges. Go for what’s within your reach – and just beyond it.